After 10 years gracing the Jubilee line entrance to Waterloo Station, Kendra Haste's elephant sculpture needed some structural work and a good clean. We were asked to remove the sculpture and design and make a new internal framework and hanging system. We also dismantled the sculpture and gave it a careful, but deep clean with compressed air before the artist performed some further restoration work. 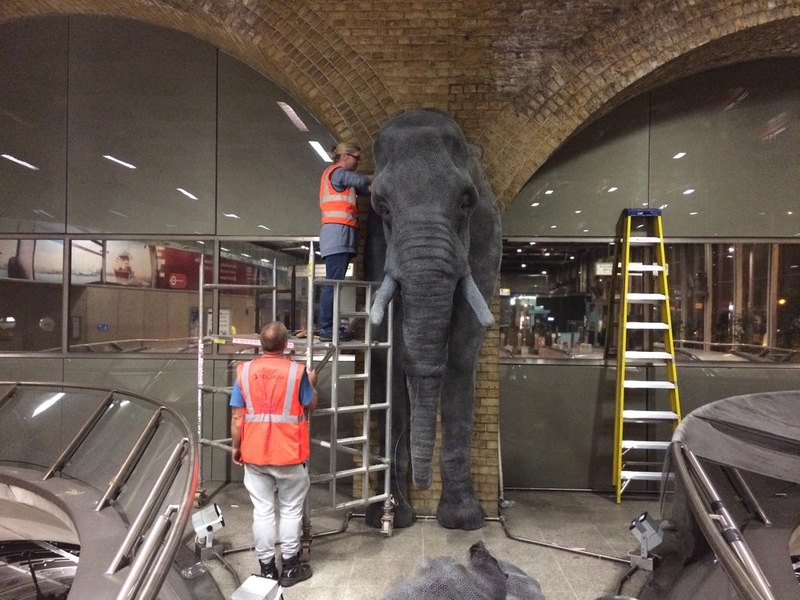 We rehung the elephant in it's rightful place, overseeing the escalators at the Waterloo Road entrance to the station.